Least Expensive 3 Bedroom in Bachelor Gulch! Least Expensive 3 Bedroom in Bachelor Gulch! Just reduced, this 3 bedroom, 3 bathroom top floor Settlers Lodge condominium offers some of the best value in Bachelor Gulch. Walk right to the ski slopes and ease your tired muscles in the outdoor Jacuzzi. Or relax on the large covered patio with gorgeous slope side views. Village Transportation provides complimentary door-to-door transportation anywhere in Bachelor Gulch or Beaver Creek. In addition to these great amenities, Settlers Lodge is a secure, quiet complex with ample ski storage and heated, underground parking. At $725/sqft and strong rental figures, this home is a wonderful option for your next ski home. Perfect for the family looking for private, comfortable luxury! Read more about Least Expensive 3 Bedroom in Bachelor Gulch! The newest Vail real estate market data was just published and the third quarter of 2012 was a promising sign for the Vail real estate market! September real estate transactions were the highest in five years! The third quarter of 2012 boasted 175 real estate transactions and over $140,000,000 in sales - the most transactions since November 2007. Year to date the real estate market continues to stabilize with Eagle County transactions up 18% over 2011 and volume is up 24%! In September there was a 69% increase in dollar volume over September 2011 with seven commercial transactions, 11 vacant residential lots, five transactions over $4,000,000, and an $8,150,000 Bachelor Gulch home sale - all signs that the market is holding strong! New Vail real estate properties appear daily in the market, yet few offer 8 bedrooms, a wonderful lot, stunning views, and location. This new vail property for sale is worth seeing! 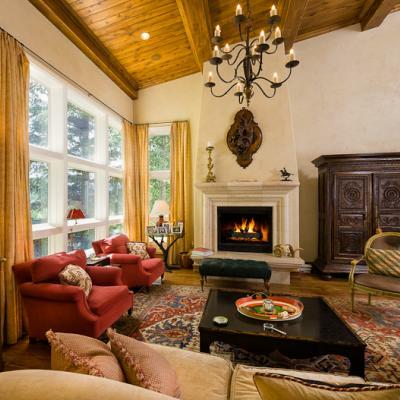 Read more about New Vail Property For Sale - Vail Real Estate worth seeing!